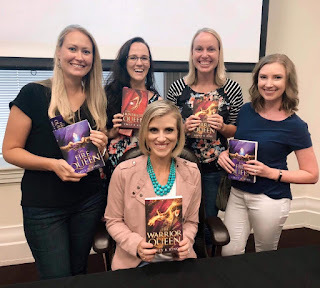 My fellow 2019 Utah Debut authors were out in force on Monday night to see New York Times Bestselling author Kiersten White talk about her newest book The Dark Descent of Elizabeth Frankenstein. In case you didn't know, 2018 is the 200 year anniversary of the original publication of Frankenstein by Mary Shelley. Before we headed over to The King's English to hear her speak, we went out to dinner at Mazza and were talking all about publishing stuff. Then a lady stood up and turned around--it was Kiersten White. She said hi and we talked. She was out to dinner with her parents. Kiersten's presentation was delightful and we all got a book signed. 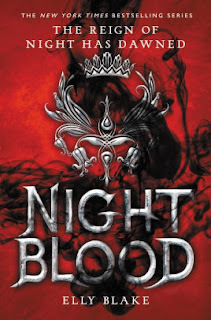 Check out my review on Goodreads.